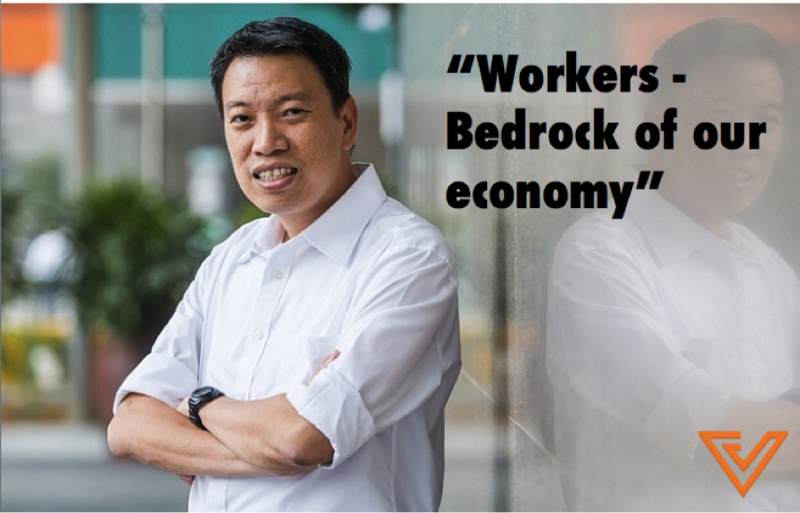 During the Budget Debate in Parliament in Singapore last week, the Labour MPs advocated for greater protection for the various worker segments, including the PMEs, in Singapore amidst a slowing economy growth. Most of us do not necessarily follow the long parliamentary debates, so here are some bite-sized notes on what each of these Labour MPs fought for during the parliamentary debate. Incidentally, SG Chan Chun Sing and DSG Heng Chee How are elected into NTUC’s highest decision-making body – the Central Committee – through an election held at the four-yearly National Delegates’ Congress (NDC). The most recent NDC took place in October last year, and at the closed door elections at the NDC, the Labour Chief won a whopping 90% of votes and was re-elected as the Secretary-General of the NTUC. The strong mandate spoke volumes about the confidence the delegates have in Chan. Minister Heng called for a specific date of announcement on when the raising of Singapore reemployment age ceiling from 65 years old to 67 will take place. This is so that “Mature workers reaching age 65 working for companies that strictly follow statutory ages will greatly appreciate that”. Minister Heng also called for employers to continue the training and development of their mature employees. Like what blogger Flora said so aptly, “In layperson speak, this basically means that you CAN retire at 62, or anytime you want actually. (If tomorrow you strike Toto and want to stop working forever, nobody can force you to get a job what!) But for those who CAN and WANT to continue working, this upward adjustment is to ensure that people who want to work get a chance to work! With effect from 1st July 2017, workers can stay in job till age 67 and the law allowing firms to cut pay of 60-year-olds will also be scrapped then. 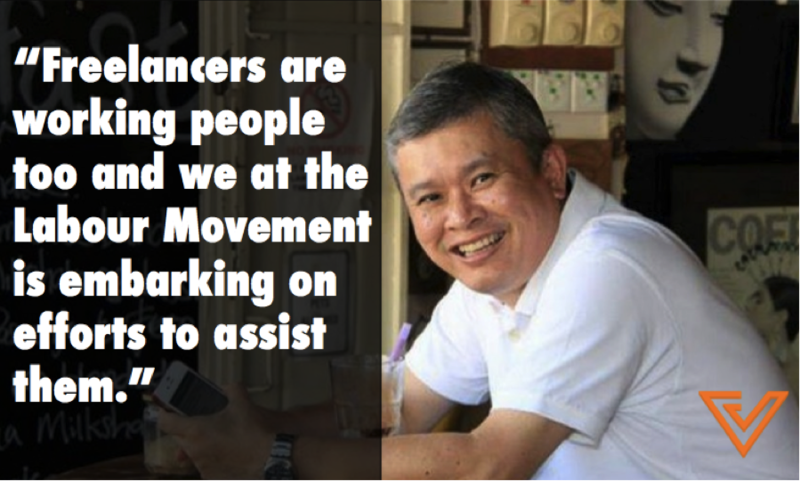 Taking a detour from his usual call for action to help freelancers, contract workers and cabbies, MP Ang Hin Kee has spoken up for more help for SMEs and also their workers in his Budget Debate speech. Delivering his speech in Mandarin, MP Ang has called for the government and employers to explain to their employees and workers and make sure that they understand how they can benefit from the recently announced budget. Touching on the S$450 million robotics programme, Ang cautioned that there might be some mature workers who might be worried that their jobs will be displaced by robotics. MP Patrick Tay started by pointing out some of the challenges the Singapore labour force is facing: Singapore is undergoing an economic transformation and restructuring, a flat productivity line, an ageing workforce, a tight labour market and slower employment growth. To further help PMEs in Singapore, Tay called for an enhancement of the Career Support Programme (CSP) so that more employers are aware of this programme. Secondly, Tay wants to see a stronger Singapore core in the workforce through a more stringent scrutiny on companies that do not follow the Fair Consideration Framework job advertising requirement. Thirdly, Tay hopes that Singapore can set up a support network for the unemployed and retrenched PMEs, similar to the Career Activation Programme under the NTUC’s U PME Centre. For PMETs made redundant and have difficulty finding jobs, meaning six months or more, the Ministry of Manpower will waive the age requirement of 40 for CSP. In other words, even younger PMETs can come under CSP. For mature PMETs (40 years old and above) made redundant, the requirement on the six-month unemployment period will be waived. In other words, they can apply to join CSP straightaway. 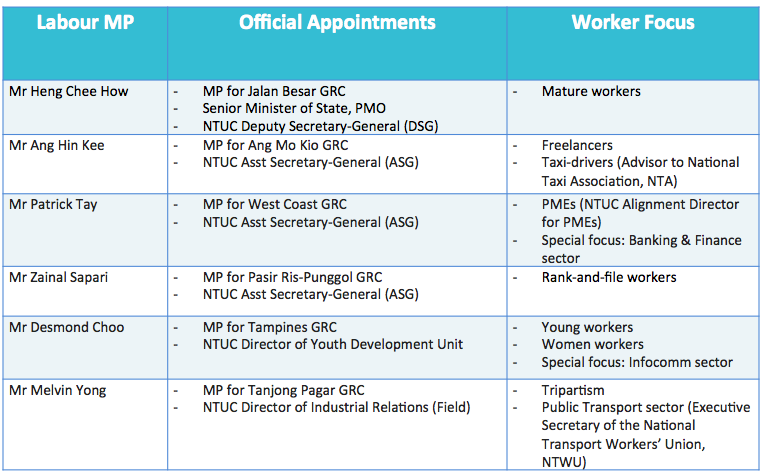 MP Zainal Sapari has been championing for the interests of the lower-waged workers in Singapore for years now. 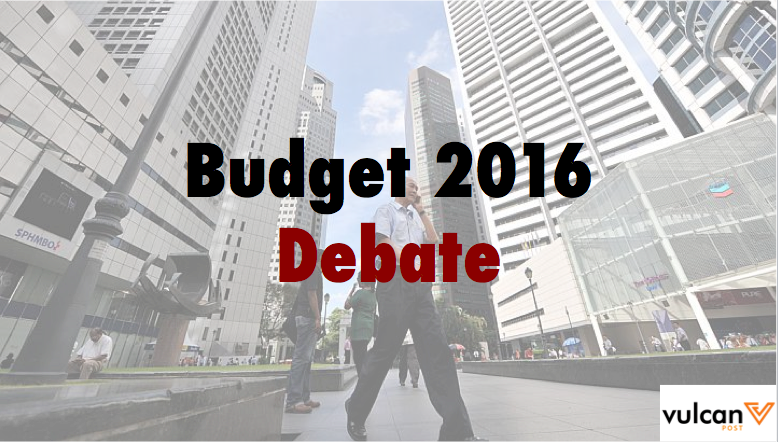 One of the key messages in his Budget debate speech is for Singapore to set target for higher real wage increase for low-wage workers. On SkillsFuture, Sapari made some excellent comments, and called for the Skillsfuture’s outreach efforts towards low wage workers to be more customised and targetted since most of them are mainly matured with limited education. Sapari also hopes that the respective sectors need to ensure there are current jobs to match the higher skills the workers have acquired through SkillsFuture training where workers must be comfortable in using technology. Known to be someone who calls a spade a spade, Sapari is someone who does not mince words, as demonstrated in his interviews and social media posts. Recently, we can feel more of the fire in his belly in his blog posts too. The Ministry of Manpower has committed to work with the tripartite partners and stakeholders to improve the livelihoods and lives of the low wage workers. MP Desmond’s focus for the Budget was for a more integrated approach in helping young workers develop their careers. Choo also called for an online system that would recommend SkillsFuture courses to individuals based on their preferences. On top of that too, MP Desmond also asked the government to help working Singaporeans to upgrade without having to lose income when picking up deep skills. 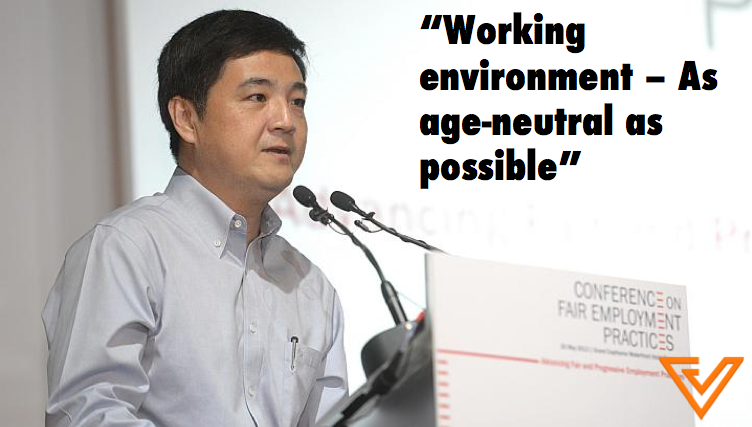 MP Melvin Yong’s key message was to ensure that no workers are left behind as the economic changes take place. To do that, Yong called for the government and employers to do more to improve job matching, specifically, for more employers to embark on the “Place and Train” programme. This is to make sure that displaced workers get the help they need to secure suitable jobs. Yong also called for the government to actively promote the SkillsFuture programme to more Singaporeans. Since one of Yong’s areas of focus is tripartism, he also urged for greater sectoral tripartite partnerships between the various government agencies, the employers and the Labour Movement to help workers. He highlighted the need for the tripartite partners to work closely to articulate the future skill sets and competencies needed for future jobs, so that we leave no one behind.